Caption : Kochi,26/04/10. Josco Football Club coach T.K. Chathunni and his deputy T.G. 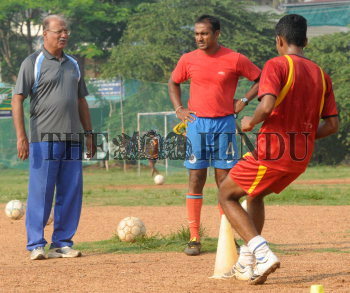 Purushothaman at a training session in Kochi. Photo;H.Vibhu.